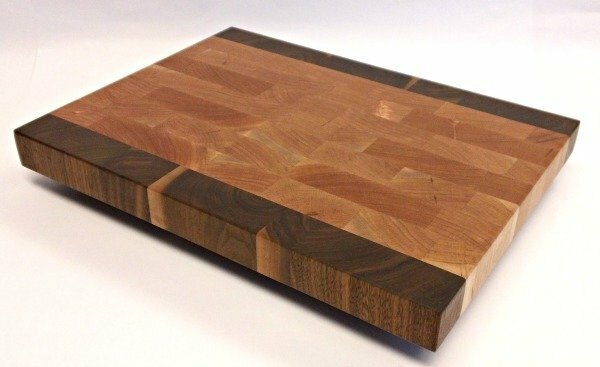 With the dark, rich color of walnut in the center bordered by the lighter warmth of cherry, these multi-color, end grain butcher blocks are among our favorites. The cherry border highlights engraving well (included with your purchase). 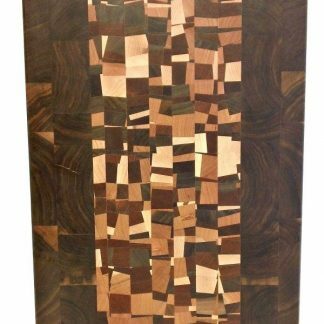 Engrave the front with a family name, the back with your logo or a personal message to create a gift that will be appreciated for generations. 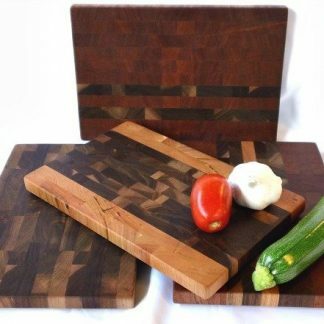 The block measures a handy 12″ wide and 16″ long, perfect for most kitchen tasks. 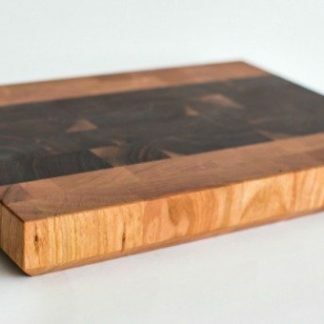 A healthy 2″ thick, we bevel the bottom edge for easy handling, use stainless steel screws to install rubber feet that keep it from sliding and finish it with a food grade blend of mineral oil and natural waxes. With the dark, rich color of walnut in the center bordered by the lighter warmth of cherry, these multi-color end grain butcher blocks are among our favorites. 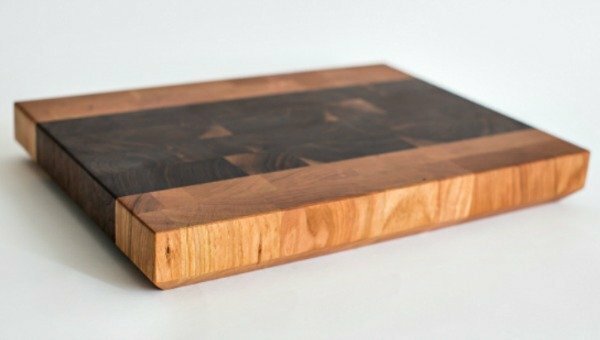 The cherry border highlights engraving well (included with your purchase). 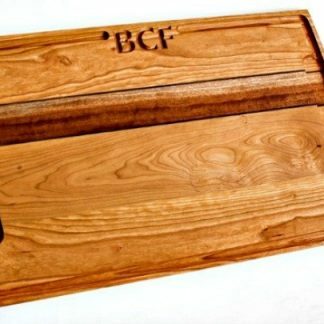 Engrave the front with a family name, the back with your logo or a personal message to create a gift that will be appreciated for generations. 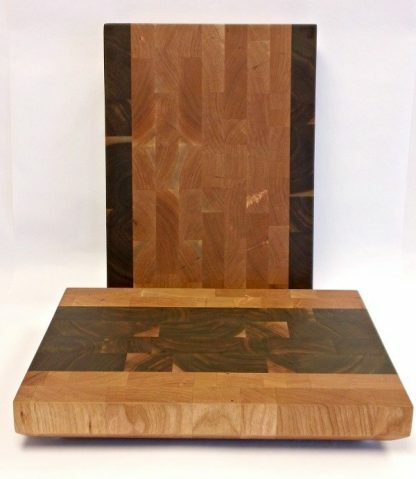 The block measures a handy 12″ wide and 16″ long, perfect for most kitchen tasks. 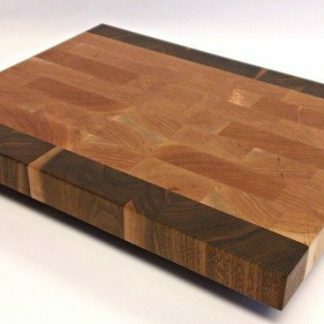 A healthy 2″ thick, we bevel the bottom edge for easy handling, use stainless steel screws to install rubber feet that keep it from sliding. 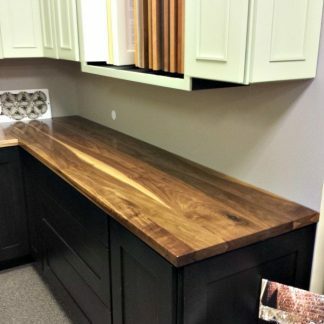 We finish it with a food grade blend of mineral oil and natural waxes.